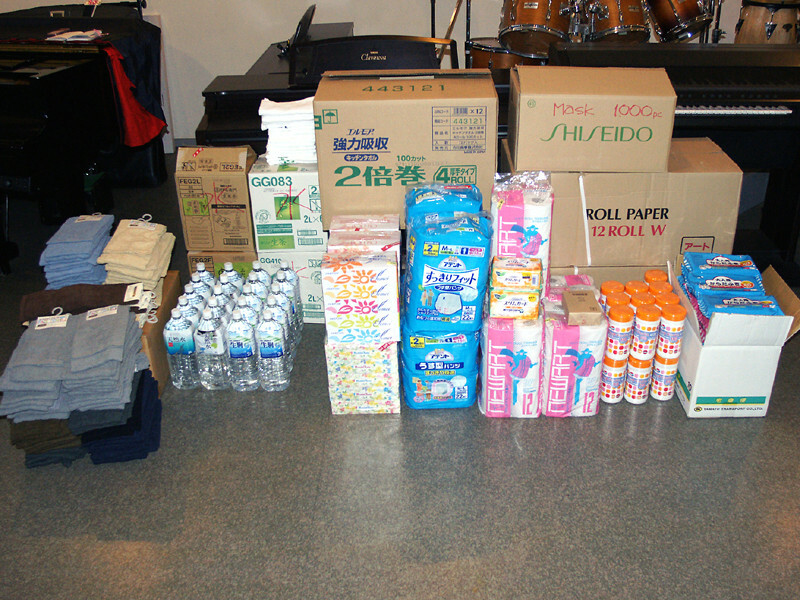 The Vedanta Society of Japan sent the below items to SAVE IWATE as we did last time. 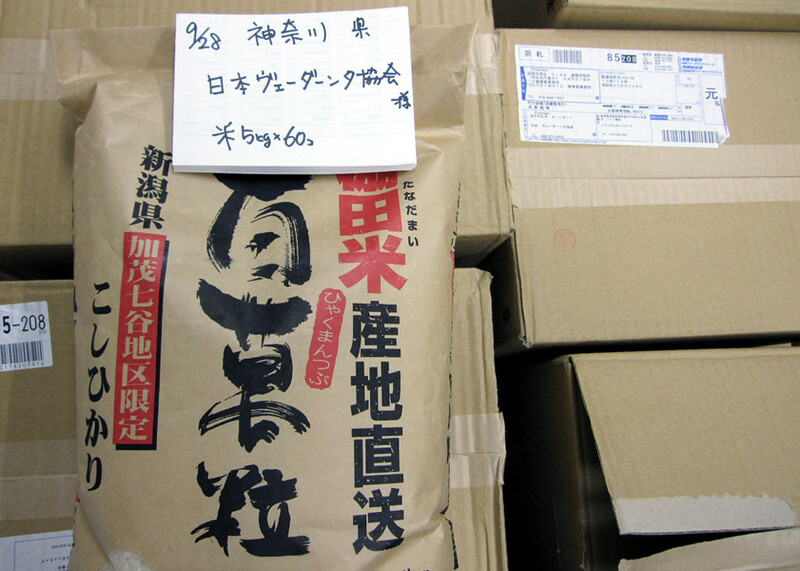 SAVE IWATE currently distributes relief supplies preferentially to “those in great need” (the elderly and handicapped) on an individual basis, who presumably account for 20 per cent at least of those who has taken refuge in Morioka and its vicinity. The following sent arrived on 27 and 28 September. Our Society will continue to support those in need by providing basic necessities on a regular basis. Now that it has been over a year since the 2011 Tohoku earthquake, signs of recovery are finally being felt. 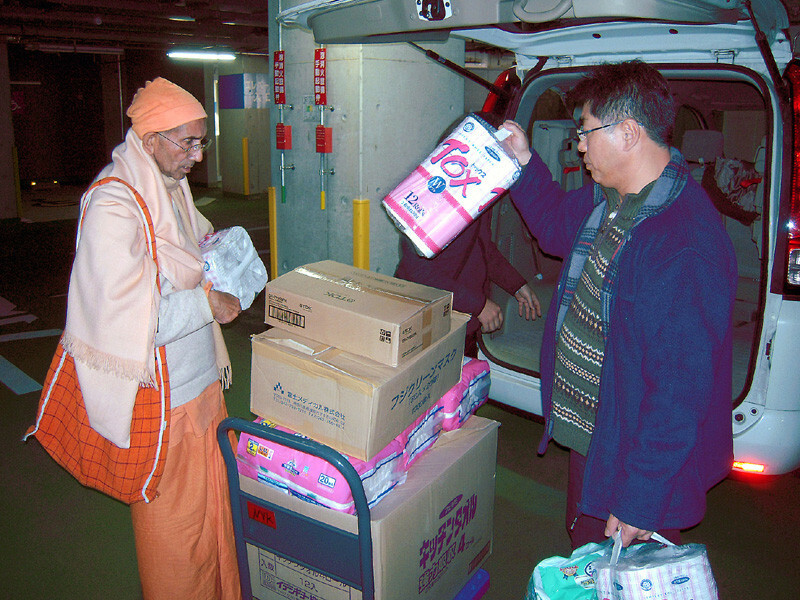 The Vedanta Society of Japan has been contacting many organisations and asking how relief is going in the areas hit since we last sent relief supplies five months ago. In order to carefully use the donations made in good will by so many of you, we have decided to donate to SAVE IWATE in Iwate Prefecture, as we did last time. SAVE IWATE is a very faithful non-profit organisation letting their donors know with photographs how the items they contributed were distributed to victims and how glad recipients were to receive them. Our Society will continue to support the areas in need by keeping in touch and staying updated on the situation. 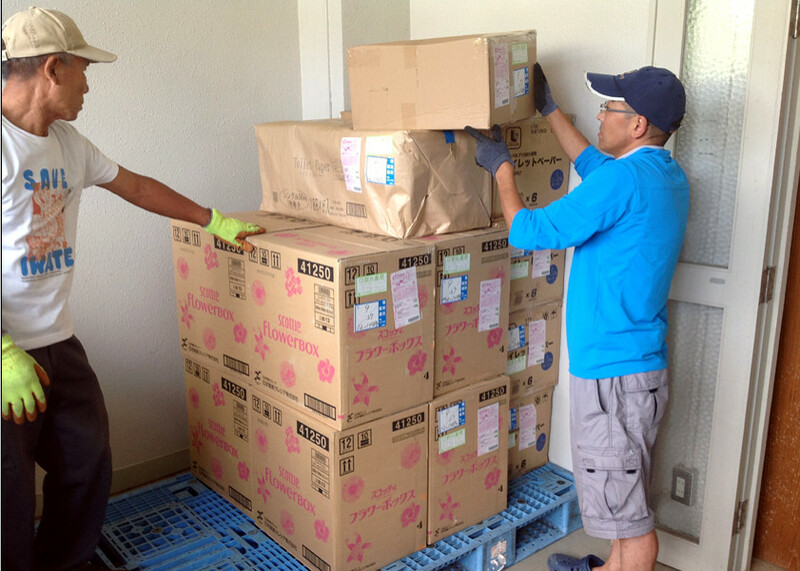 The Vedanta Society of Japan has arranged for relief items to be sent to Miyagi Prefecture. 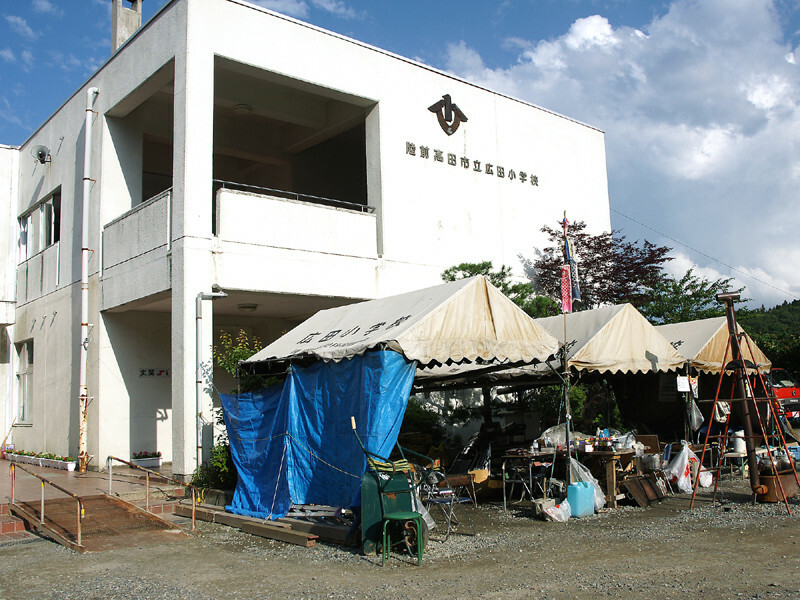 Some 1200 people of the Ishinomaki City area are still housed in area shelters. 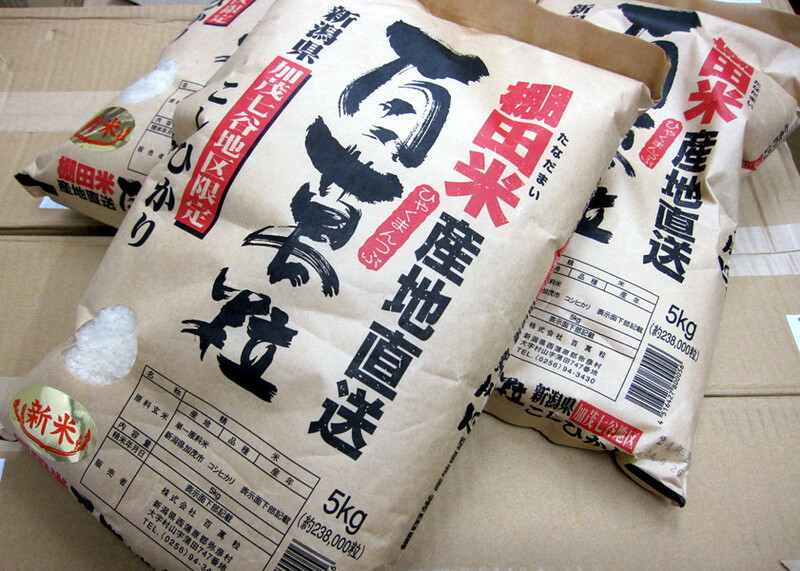 Shipment to: The Old Ishinomaki City Seika Kakichiho Wholesale Market where support goods are being collected for local distribution. Dish soap : 1,200 - 270ml bottles. 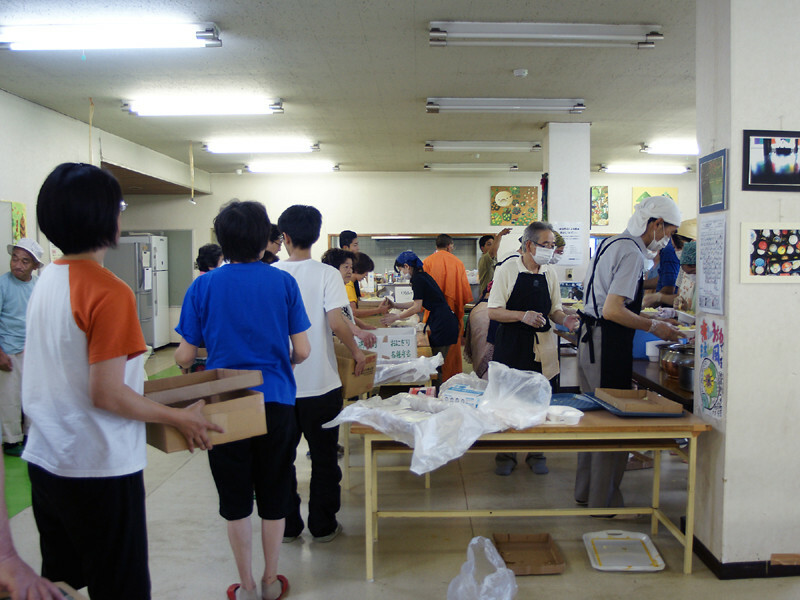 ★Serving lunch at a shelter for Fukushima area evacuees in Saitama Prefecture. 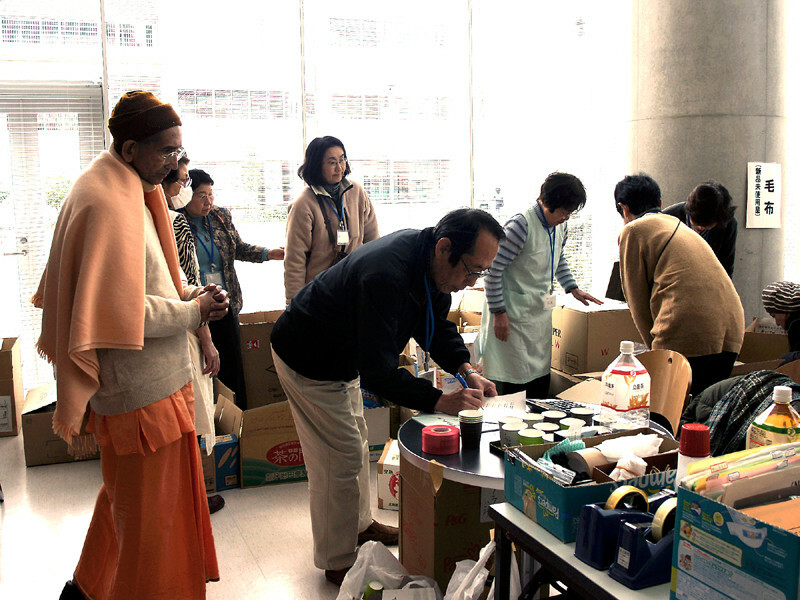 On Sunday July 10, the Vedanta Society of Japan and Spice Magic Calcutta restaurant of Tokyo teamed up to serve lunch at a shelter for Fukushima area evacuees in Saitama Prefecture. 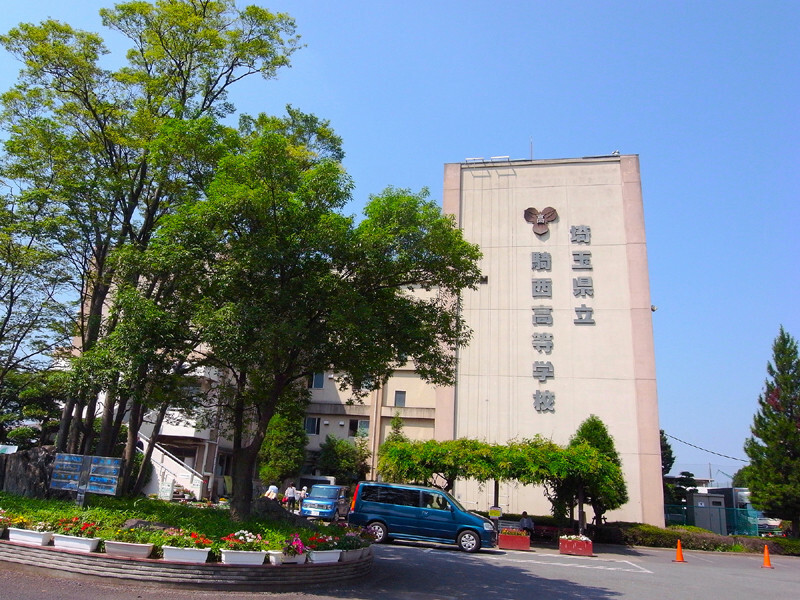 The facilities of the former Kisai High School in Kazo town was selected by the prefecture to serve as a shelter for some 900 residents of the community of Futaba-cho in Futaba-gun, Fukushima Prefecture. Although damage to Futaba-cho was minimal from the earthquake and tsunami, residents and city government itself were forced to vacate their homes and offices as they were within the government designated 20-kilometer nuclear fallout radius from the damaged Fukushima Daiichi nuclear power plant. Just before lunchtime Swami Medhasananda was greeted by Futaba-cho Town Vice Mayor, Mr. Inoue, who thanked the Society on behalf of the residents for providing this lunch and welcomed break from routine. The lunch menu was curry with chicken or without, saffron rice and coleslaw salad. In all between 550 and 600 meals were served, with many returning for second servings. While some ate in the large former school cafeteria, most loaded makeshift trays made from box-tops or -bottoms with servings for family members and returned to their living quarters. By all accounts the delicious lunch of authentic Indian-style curry was much appreciated. 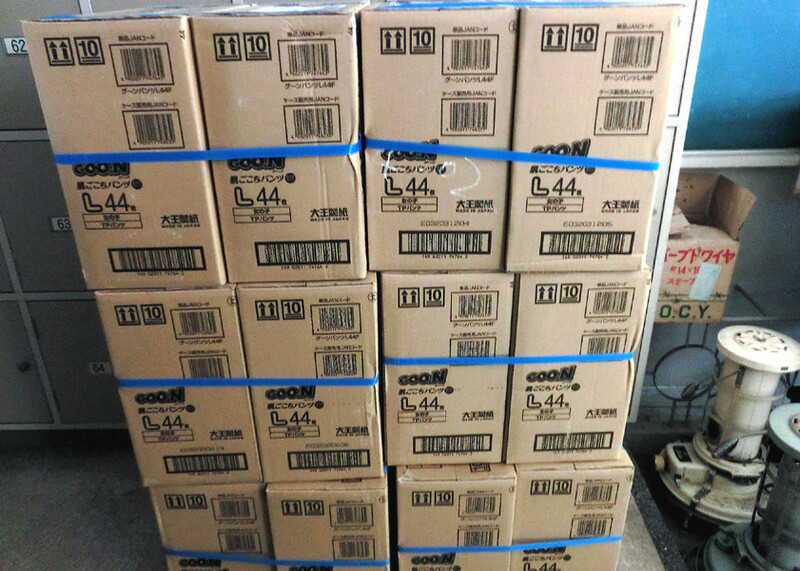 The Society sent 400 polo shirts and 400 T-shirts to Iwate Prefecture’s Disaster Countermeasures Office in Rikuzentakata City, via a parcel delivery service (takkyubin) on July 4th. 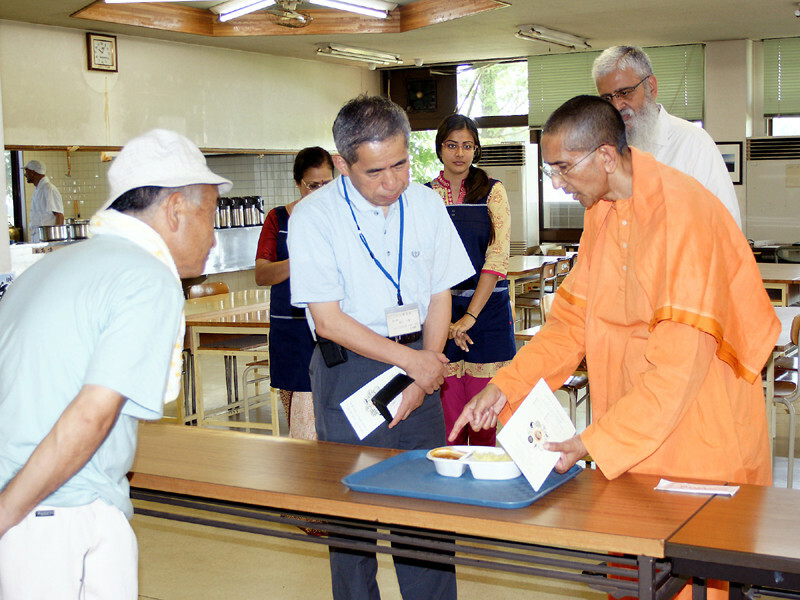 Swami Medhasananda and three Society members then visited the Rikuzentakata City, Iwate Disaster Countermeasures Office on July 5th. The party left the Society's Zushi Centre in Kanagawa Prefecture in the early morning hours for the 600km/8hr drive north. 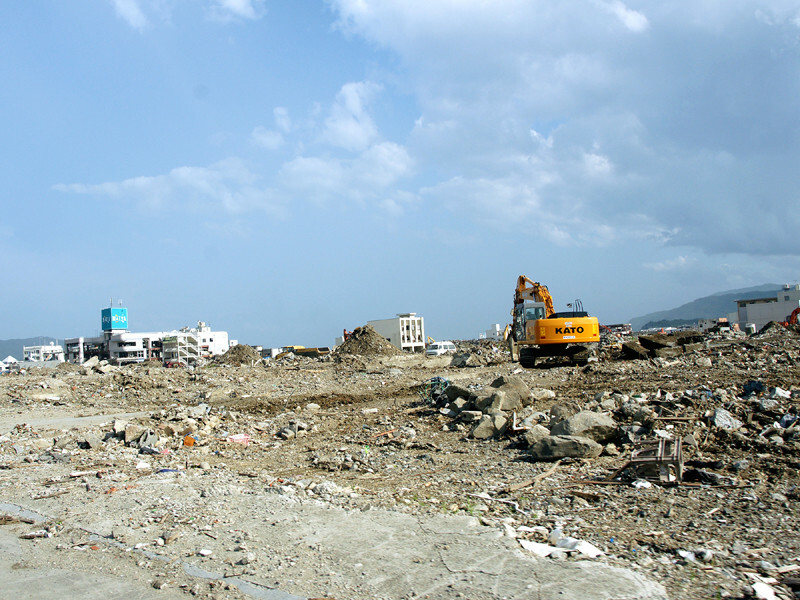 Much of Iwate Prefecture's 280 km coastline suffered the worst of the tsunami devastation with several villages and towns washed away and port city facilities severely crippled. After consultations with staff at the Disaster Countermeasures Office we hand-delivered an additional 500 polo shirts to the Rikuzentakata Municipal Hirota Elementary School, which has been designated an official Hirota Town Area Disaster Countermeasures Office. We visited the temporary housing units erected on the elementary school grounds and enjoyed the opportunity to talk with the local people and their children. *polo shirts … 900 pcs. 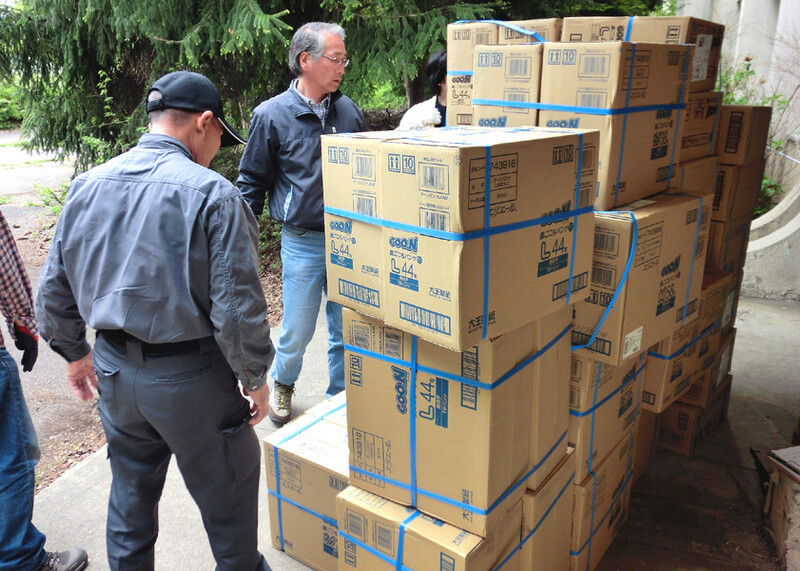 The Vedanta Society of Japan delivered the following relief resources to the “APIO Iwate Industrial Cultural Center,” a relief resource depot in Iwate Prefecture, that was purchased directly from a store on June 20th. 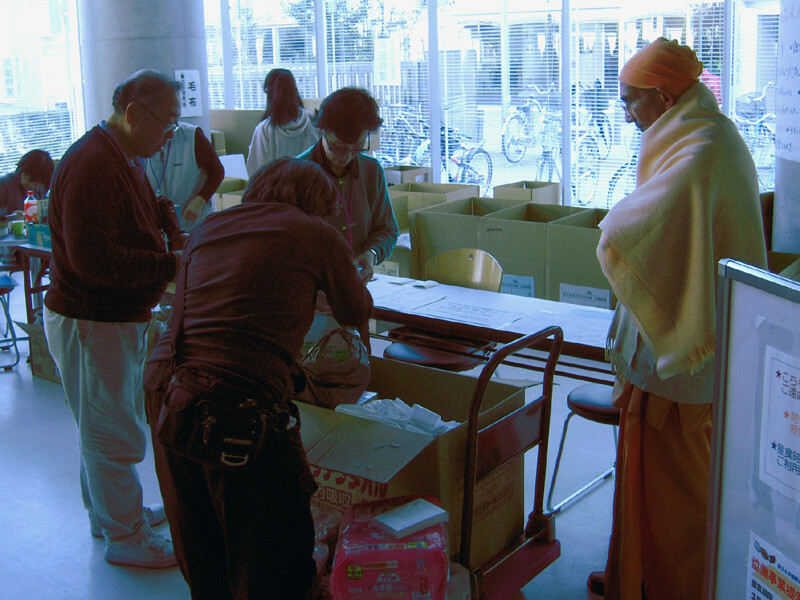 On the 26th of April, 2011, Swami Medhasananda and three devotees, Mr. Ko Mitamura, Mr. Atsushi Suzuki and Ms. Shanti Izumida of the Vedanta Society of Japan loaded boxes of vegetables (potatoes, carrots, cabbages etc. ), fruit (oranges, kiwi, etc.) 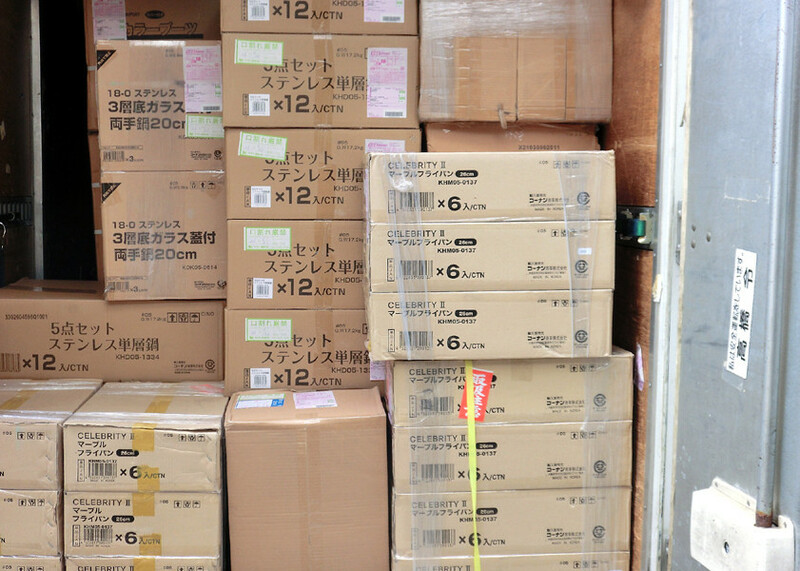 and school notebooks, pencils and coloured pencils into the Society’s van for delivery to Fukushima. They first arrived at the Nihon Univa's volunteer centre set up in Iwaki City, Fukushima. This centre establishes contact with various shelters for the disaster victims and sends supplies to them. In consultation with this centre the Vedanta group first visited a shelter housed in the Ena Elementary School of Ena City. As this shelter was not in serious need of supplies, the group drove on to the Izumi Kominkan shelter in Izumi City, which is about 50 km away from the damaged nuclear power plants in Fukushima. As this shelter was indeed, in need of some supplies, the vegetables and school supplies were offered. Afterward members of the group met with evacuees individually and offered what comfort they could. It was quite obvious that this visit was much appreciated. The remaining fruits, vegetables and other articles were finally left at the Nihon Univa Volunteer Centre in Iwaki for distribution before the group began the journey back to Zushi. Blankets 101-pcs; Cotton Masks 1550-pcs; Towels 183-pcs; Powdered milk 14-packets; Baby diapers 600-pcs; Adult diapers 298-pcs; Body Soap bars 75-pcs; Toilet Paper Rolls 300-pcs; Sanitary Napkins 198-pcs; Tissue Boxes 65-pcs; Wet Tissue Canisters 93-pcs; Postcards 500-pcs; and Water bottles (2ltr) 38-pcs. 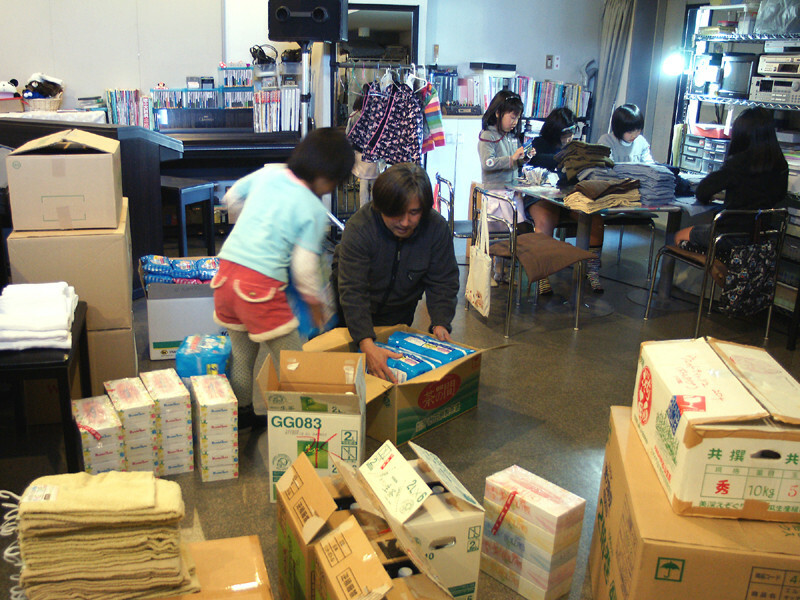 There was a large number of articles, so packing and preparations for the 2nd delivery of relief materials to the Zushi City office was conducted at a devotee's music studio where 5 schoolchildren helped to prepare the parcels and a letter from the children was attached to the goods.